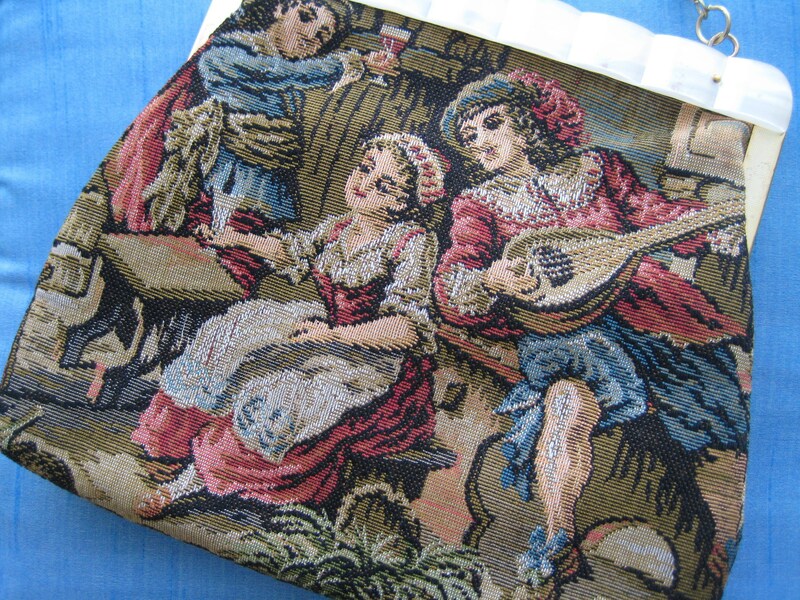 Tapestry shoulder bag made in British Crown Colony Hong Kong. 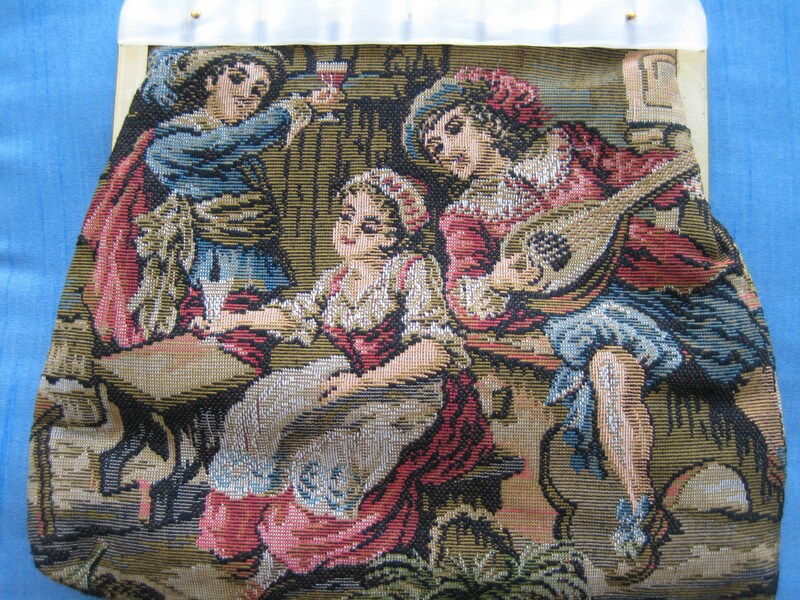 Pretty Renaissance scene on wool on both sides. 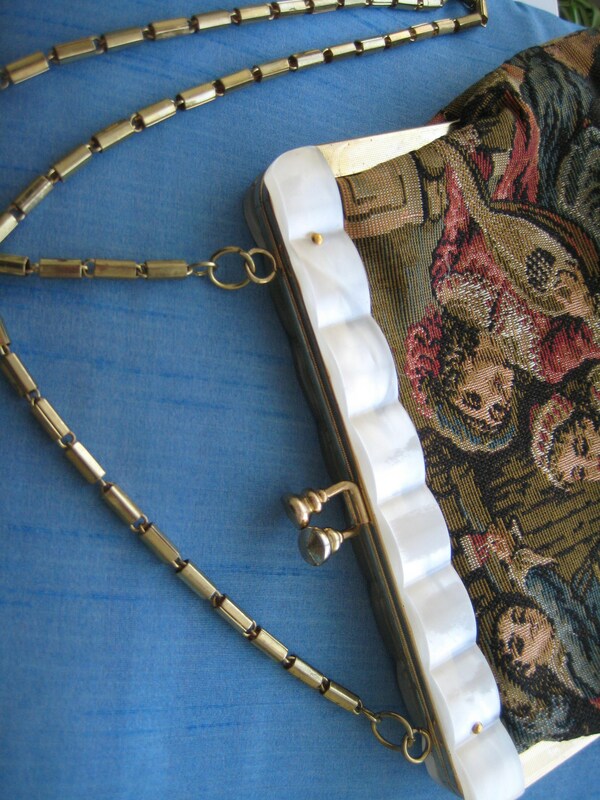 Pearlized Lucite trim and gold tone metal Gold tone metal kiss lock closure. Exterior is made of tapestry, Gold tone metal chain. 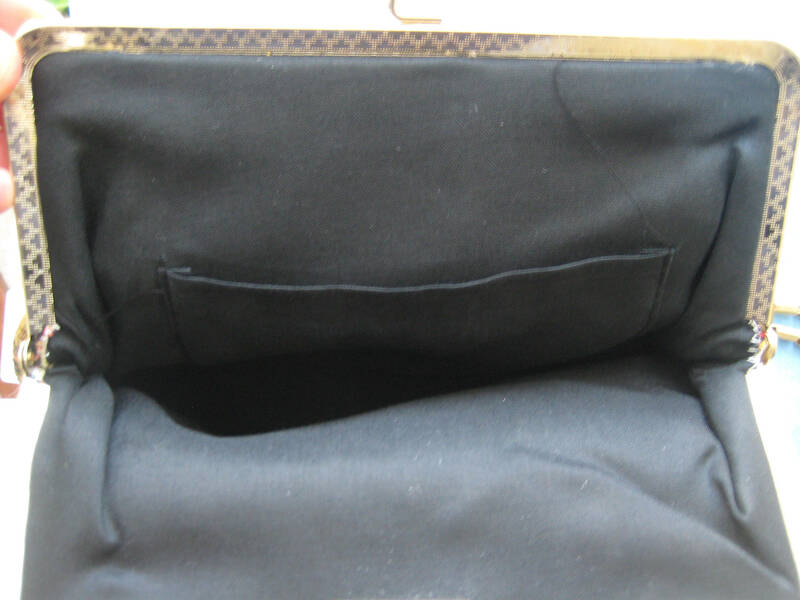 interior of black cotton lining. 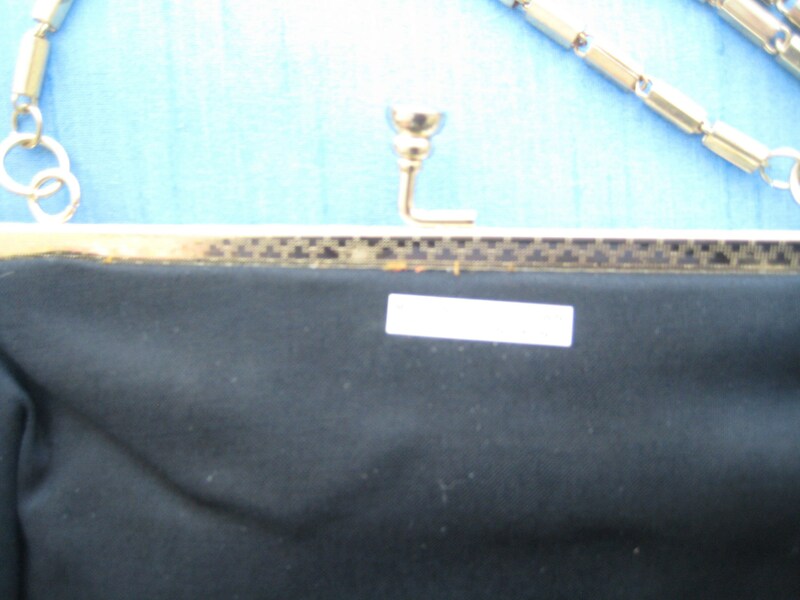 The shoulder chain measures 30" long. ,and is linked with tube like hardware. In excellent condition. Dimensions: 8.75 inches tall x 10 inches at the widest part. Such a special bag! No returns on Special Deal items.